Welcome Home to this still looks NEW ranch home on the south side of Lake Sherwood Estates. 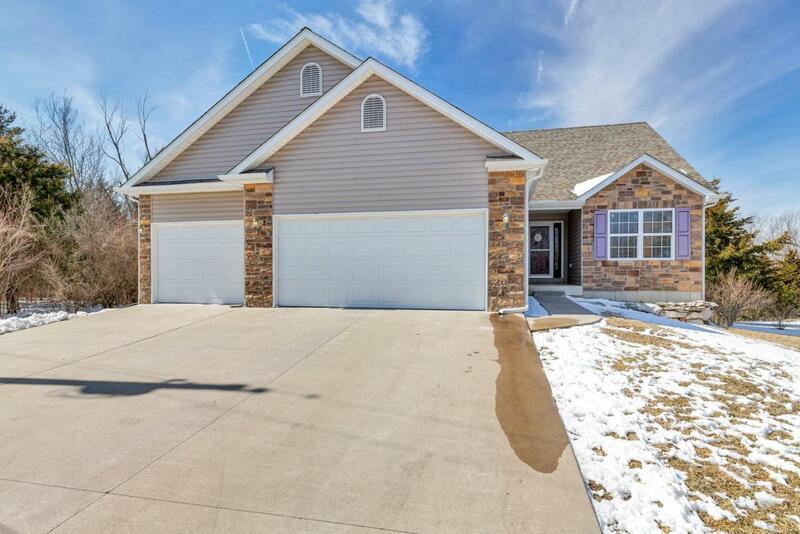 Beautifully done 3 bedroom, 2 bath split bedroom ranch that offers plenty of space with a 3 car garage and over 1600 sq ft of living space. Open the front door to the large family room with a vaulted ceiling, enjoy gathering near the gas burning fireplace with the rustic custom mantle. Or visit with family & friends at the kitchen breakfast bar or in the eat in kitchen area that overlooks your own private backyard with a nice sized deck for BBQ's. Master bedroom has a coffered ceiling, master bath with jetted tub, large shower walk in closet! Main floor laundry with a mud sink. Gated community amenities include: 6 lakes, clubhouse, beach, and 24 hr security.